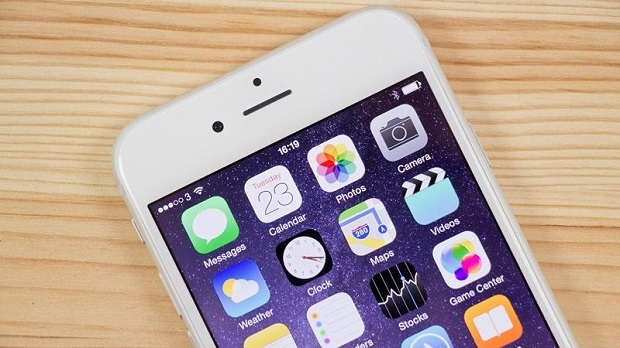 The #Apple #iPhone 6 is a 2014 model that’s still quite popular today. Just like any of the newer iPhone models this phone gets its fair share of updates which as of now is iOS 10.3. Although it is not as powerful as the latest iPhone 7 model this device can still perform well considering the fact that it uses an A8 processor with 1GB of RAM. There are a lot of people who are using this phone as their primary daily driver without experiencing any issues however there are cases when certain problems can occur which we will be addressing today. In this latest installment of our troubleshooting series we will tackle the iPhone 6 flickering screen issue & other related problems. Problem: My iPhone 6 has flickering black issues. I was just scrolling through Apps and whatnot, and it suddenly had the flickering issue and went berserk with black and white Colours buzzing on the display. Sometimes it just went black like as if the screen turns off without any clue or warning. Please help me! Solution: There are two main factor that can cause your phone screen to flicker. First, it can be caused by some software glitch which we can easily troubleshoot. Seconds, it can be caused by a faulty hardware in which case this has to be checked at a service center. The first thing that you should do in this particular case is to restart your phone. As simple as it may sound sometimes this can fix this kind of problem. To restart your phone hold down the Sleep/Wake button and Home buttons simultaneously until the Apple logo appears. If the issue persists then the next step is to backup your phone data then restore your phone and set it up as a new device. Once this is done do not install any apps in your phone yet. You should first check if the problem still occurs. If the above steps fails to fix the problem then this could already be caused by a faulty display. I recommend that you have this checked at a service center. Problem: I have an iPhone 6. The screen is cracked and a chunk of glass has come off the top left corner. The screen keeps going completely black, flickering on and off and getting lots of black thin lines in a diagonal line and it flickers. Any advice please? Do I just need a new screen? Solution: Since the phone screen is already cracked then you will definitely need to have the display assembly replaced. Problem: I have an iphone 6 that i am repairing for a friend , they dropped it which caused one small crack but caused the touch screen to become unresponsive , i have a new lcd replacement for it but it’s still the same , any ideas on how to fix it ? Solution: Try to have the touch IC of the phone checked as sometimes if this component is faulty the display will become unresponsive. Then there’s also the possibility that the replacement LCD itself is not working at all. Problem: I dropped my iphone 6 few weeks ago and I have noticed it gets too hot when the camera is on for awhile especially when it’s charging the battery when the wifi is on. Last week, I left my charger at the office and I only have the usb chord of my iphone, so I tried plugging it to a lenovo android phone charger and it charged but when the battery was almost full it got too hot and when i used it, suddenly it turned off. Later i found out the phone is still on because i can still hear beeps and it rings. The screen is black but when i use a flashlight i can still see it but there is no light. Might be the backlight problem? I tried hard reset and i restored it using mac book but it didn’t work. My iphone 6 went to factory reset but its not lighting up. Please help. Solution: Since you have already performed a factory reset which didn’t fix the problem then it looks like this is already caused by a damaged display assembly. I recommend that you bring this phone to a service center and have it checked. Problem: Hi, I’ll start from the beginning. I had my iPhone 6 since July 2016, it wasn’t new and the screen was cracked. Despite the cracked screen, the phone worked perfectly fine. I decided to get the screen fixed in December of 2016 but it wasn’t at Apple because Apple is very expensive. The place did great. My phone fell one time after it being fixed but it never cracked. Recently in March of 2017 I realized that my screen would be unresponsive and freeze for a long time. The only way for me to get my phone to continue working was by tapping the screen or tapping the back of the phone. One night the phone stopped working and I hit the screen and I seen Black and White vertical lines. I decided to do a hard reset on the phone and when I went to turn it back on the screen was black even after trying to charge it. I did notice that when I hit the power button half of the screen light up just a little bit but it is still dark. I tried attaching the LCD cables but that didn’t work. Please help !! Is it the backlight? Is it the screen? Is it the LCD cable? I tried being patient but nothing is working. Solution: One of the first things that you should check in this case is the display assembly. It might have been damaged when you dropped the phone. Since you already performed a factory reset which doesn’t fix the problem then I suggest that you bring your phone to a service center and have it checked. I have a iPhone 6s I had got an LCD replacement and everything was cool and working just fine but then after a couple of days it started flickering and does not stop. I tried to reset it I tried to adjust the screen brightness but still nothing. It’s still flickering and it’s driving me crazy. I’m not sure what to do. I’m scare to replace the LCD again and it doesn’t fix anything. I’m not sure if it’s the motherboard that’s messed up if that’s the case the phone is no longer good is it? Or can it still be fixed?